We offer a caring environment in which your child can learn through creative, stimulating play appropriate to their age. 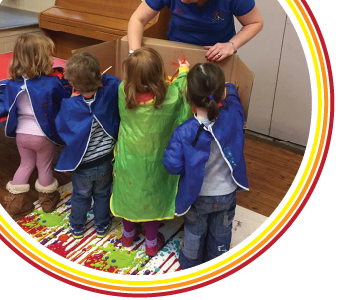 Our experienced staff run each session to follow the Early Years Foundation Stage curriculum with a wide range of activities available including outdoor play and activities in our secure walled garden. Leave your child with our qualified staff in an environment in which your child can learn and develop through creative, stimulating play. 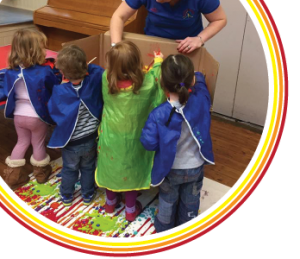 If your child is 2 years old or above before 1st January 2018 then they could join our popular Preschool sessions. Sessions run on Monday, Wednesday and Thursday at the Methodist School Rooms, The Green, Upper Poppleton. See timetable for more details! Fees are £12.00 per session payable each half term in advance. Free Government funding is available for 3 year olds and some 2 year olds. We also accept childcare vouchers. Our Rising Fives sessions as part of our preschool sessions, aid children with the transition from pre-school to school. With a focus on EYFS, we nurture, support and develop their skills to provide a strong foundation for their first year at school. If your child is 3 years old or above before 1st September 2018 then they could join our popular Rising Fives sessions. Your free Government allowance for 3 year olds can be used with us! For further information on any of our sessions or to register your child, please contact us.